Two professors at Bard College’s The Hannah Arendt Center for Politics and the Humanities joined a chorus of disgruntled conservatives and liberals uneasy with the spirit of direct and disruptive action on university campuses. 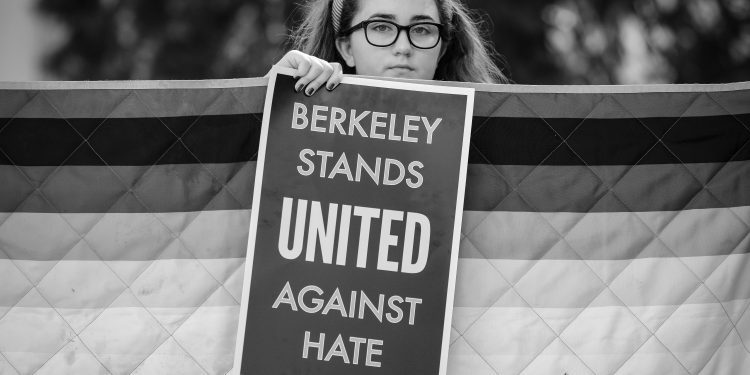 On Thursday August 31st, activists protested the scheduled appearance of John Yoo, Emmanuel S. Heller Professor of Law at the University of California, Berkeley. Yoo, former Deputy Assistant Attorney General in the last Bush administration, was invited to speak in San Francisco at a meeting of the American Political Science Association (APSA). As the appointee of George W. Bush, Yoo is best known for authoring what have come to be known as the Torture Memos. Yoo’s Memos are, in essence, an attempt to legally justify the use of torture by U.S. officials, and so protect his associates from being charged with war crimes for the way prisoners were detained and interrogated. As the author of the torture memos, Yoo supported inter alia the administration’s assertions that the Geneva conventions do not apply to detainees from Afghanistan. 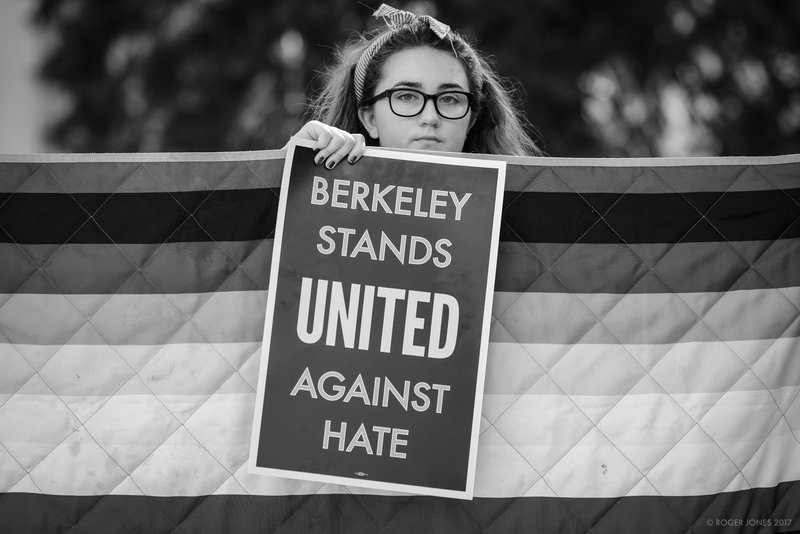 The protests against Yoo and the APSA in San Francisco this week revealed the way in which universities and college campuses are entangled within broader systems of violence, torture, and oppression. In other words, universities and college campuses in the U.S. are not what they so often claim to be: havens of neutrality perched high above the fray of oppression and violence. These institutions are spaces where corporate-funded reactionaries and spurious intellectuals find a protected platform to advance the agenda of state-sponsored violence, hatred, and systemic oppression in the U.S. and abroad. The professors at Bard maintain that we live “in a democracy with a functioning legal system,” a democracy which for them rather simplistically involves “winning an argument” and “persuading others, namely a majority or at least a substantial plurality.” In this ostensible “democracy,” Yoo has not been charged for his support of torture, so why ex hypothesi should we exile him from “democratic and intellectual debate,” Professors Hill and Berkowitz ask? But in so asking they remain completely mute about the pervading crisis of democratic power that has taken place as a result of privatization and financialized capitalism. Since the early 1970s, private campaigns of special interest have sought to redress the danger of “too much democracy” among the people, especially on campus. In 1973, the banker David Rockefeller founded a Trilateral Commission composed of corporate executives, lawyers, and politicians from Western Europe, Japan, and the U.S. The group gathered to address the recent “surge” of democratic engagement in democratic countries, notably on college campuses in the U.S. The Commission’s official report, The Crisis of Democracy (1975), considered the “surge” of student activism in the 1960s excessive and dangerous. The trilateralists proposed neutralizing the distemper of democratic engagement with an increase of “indoctrination” among the youth. After the Commission issued its report, the rise of corporate lobbying in Washington soon displaced the rapidly dissolving labor-unions. The ever-expanding role of financial institutions in the U.S. economy helped to realize the report’s nostalgia for the days when a U.S. President could govern with the cooperation of a few wealthy executives and lawyers. A path opened for Ronald Reagan to pursue his goal of persuading states to slash the funding of intellectual curiosity, just as he did as Governor for state universities in California. We now see the so-called moderating forces of democracy in effect: the erosion of dissent and the dissolution of the power of resistance into passivity and apathy. Institutions of higher learning have been instrumental in this rising tide of obedience. Today the unease of professors over organized dissent stems from the false pretense of a functioning democracy. But this pretense conceals the nefarious mechanisms of corporate money that continue to capture the power of public institutions through overt and covert lobbying, dark money funding that engineers the transfer of public services to private firms (such as prison management and private militias), and the revolving door between government, private corporations, and institutions of higher learning. These trends ensure that representatives of private interest author the so-called regulations governing public policy. The thought that the protests over Yoo’s speech turns on his presumed innocence or guilt before a court of law is insular and incredibly naïve. Direct actions that disrupt the allegedly “free” space of discussion on campus can be legitimate forms of opposition, especially when it targets a man whose legal defense of torture has been widely repudiated for being barbaric and legally dubious. Displacing the current mechanisms of capital that hollow out the institutions of democracy depends upon the critical disruption of “business as usual” on college campuses. Since the Trilateral Commission’s report, the unremitting increase in the proportion of administrative personnel to academic staff continues to signal the corporate model dominating university life. This trend has proven to be an efficient way to “moderate” or manage campus activities, as Benjiman Ginsberg documents in his book, The Fall of the Faculty: The Rise of the All-Administrative University and Why It Matters. Let’s remember that Hannah Arendt celebrated collective acts of dissent and rebellion, transgression and negation, actions that disrupt the ordinary functioning of representative democracy with a bold “No.” She was not a trilateralist. For Arendt, civil disobedience is a form of collective action that disrupts the conformity of consent to a law or set of laws that ignore the dissenting claims of organized individuals and minority groups. Like civil disobedience, disruptive actions on campus have the potential to reveal the gap between oppressed individuals and the existing social and legal norms that oppress individuals, denying them the power of dissent. These actions symbolize the normative force of an ideal, analogous to what Immanuel Kant calls the “exemplary validity” of works of art. Exemplary acts of dissent on campus renew the force of revolutionary action. Similar to Arendt’s account of the sudden emergence of disobedient action (1969, p. 74), disruptive action arises when a significant number of students, faculty, and citizens are convinced either that the normal channels of change no longer function, or when institutions embark on a course of change that persists in modes of action the legitimacy of which is open to serious doubt. But unlike acts of civil disobedience that break legal norms, acts of disruption on campus can break the growing concentration of power in the administrative bloat of universities. In San Francisco this past week, the protesters acted in full compliance with the norms of the APSA. They did not prevent Yoo from speaking; they simply stood up during his remarks, and turned their backs on Yoo while holding signs that read “Stand Against Torture.” If this minimal amount of disruption causes unease among professors, then it shows how much more the spirit of disruption is needed to stand against the forces of oppression threatening our institutions of higher learning. Charles E. Snyder is Associate Fellow at the Hannah Arendt Center for Politics and the Humanities at Bard College, and Junior Research Fellow at the Maimonides Centre for Advanced Studies at the University of Hamburg in Germany. He graduated from the New School for Social Research with a PhD in philosophy in 2014.